Marvel's Black Panther is off to an excellent start and is already breaking records. After months of anticipation and hype building for T'Challa's first solo adventure in the Marvel Cinematic Universe, the movie has finally arrived. The movie has been met with near-universal praise so far and it looks like that's going to propel the movie to record-breaking heights at the box office this weekend. The Thursday night preview numbers for Black Panther, which brought in $25.2 million ahead of Friday, makes it the second-highest grossing Marvel movie ever on a Thursday night. The $25.2 million figure puts Black Panther just above last Captain America: Civil War, which made $25 million in Thursday night previews in 2016. That just so happens to be the movie that introduced Chadwick Boseman's Black Panther to the MCU. The only Marvel movie to make more in Thursday night previews is Avengers: Age of Ultron, which pulled in $27.6 million in 2015. The Avengers sequel ultimately went on to gross $1.4 billion at the global box office, which bodes well for Black Panther. The question is, how much money can this movie really make? Captain America: Civil War seems to be the most logical basis for comparison at this point, given how close the movies were to one another in Thursday previews. Civil War went on to earn $179.1 million on its opening weekend. Currently, through Sunday, Disney is projecting that Black Panther will make somewhere in the neighborhood of $150 million. However, it's starting to look like that could be a very conservative estimate. At this point, it looks like Black Panther could cross the $180 million mark. Not to mention that it's President's Day weekend, meaning that Monday should prove to be another big day for the MCU's latest offering. Black Panther is going to overperform, it's really just a question of by how much. Black Panther has been aided tremendously by overwhelmingly positive buzz. Currently, the movie boasts a 98% approval rating from Critics on Rotten Tomatoes, with 243 reviews counted. A mere six of those reviews are negative. What could really help Black Panther, not just this weekend, but in the long run, is that there's a lot of interest in repeat viewings. 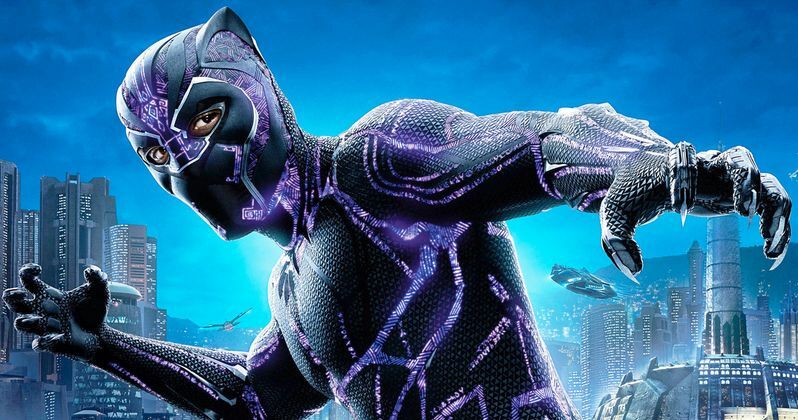 According to Fandango, 61 percent of people are considering seeing Black Panther for a second time. Even if they don't double-dip this weekend, that's sure to help the movie have some staying power in the coming weeks. It's also being reported that many of the pre-sale tickets were purchased by churches, youth groups, fraternities, sororities, and student groups in celebration of Black Panther being the first true blockbuster movie to feature a predominantly black cast. Plus, there's the #BlackPantherChallenge, which helped raise money for inner-city kids to see the movie. Black Panther also now holds the record for the biggest pre-summer preview ever, beating The Hunger Games ($19.7 million) and Deadpool's box office take of $12.7 million, according to Deadline. By weekend's end, Black Panther should easily beat Deadpool's February opening weekend record of $132.4 million.